Plus you’ll get to sample TONS of keto friendly products from their HUGE exhibitor hall – which has endless booths full of samples to enjoy! KetoCon 2019 is going to be bigger and better than ever! If you want to join us in June for the next big KetoCon keto conference now is the time to get your ticket – before the price increases on March 1st. It’s a 3-day event in Austin, Texas and it was TONS of fun last year! In addition to three full days of educational keto talks you’ll get to meet all your favorite low carb bloggers and friends AND your favorite keto companies. 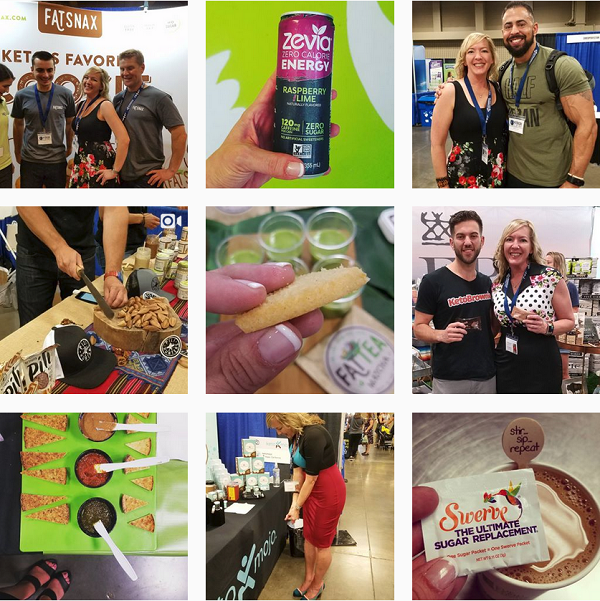 It’s a great place to learn and get inspired & motivated, a super fun social time with low carb friends, and the exhibitor hall has endless booths full of delicious keto samples to enjoy. I discovered some GREAT new keto friendly foods there last year, and also got to meet the people behind the products I already love – like Pili Hunters and FatSnax and Legendary Foods plus the FBOMB team, just to name a few. June 28th will be here before you know it! For me personally it was incredibly inspiring and it made a HUGE difference to meet people in person that I’d only known online up to that point. I came home with a serious dose of motivation after spending three days with such an amazing group of people – speakers, vendors and other attendees alike, all of them! From my personal experience, KetoCon has the LARGEST vendor booth / exhibitor hall of any keto event. Not only can you talk one on one with the owners and developers of the products you love (or want to try! ), but they have FUN activities and there’s lots of social time all through the vendor area. Note: If you can’t make it to the conference in person this June, there IS an option to download all of the presentations after the event. You can get your Download Ticket now, and once the event is recorded and uploaded, you’ll have unlimited access to those recordings. I had SO much fun at KetoCon 2018 last summer, and cannot wait (!!) to attend KetoCon again this June. I really look forward to meeting so many more of you in person this time! This entry was posted in Low Carb Meetups and tagged events, KetoCon. Bookmark the permalink. ← Ketones, Ketosis Levels & Bio-Individuality + Exogenous Ketones: Useful, or NOT?! 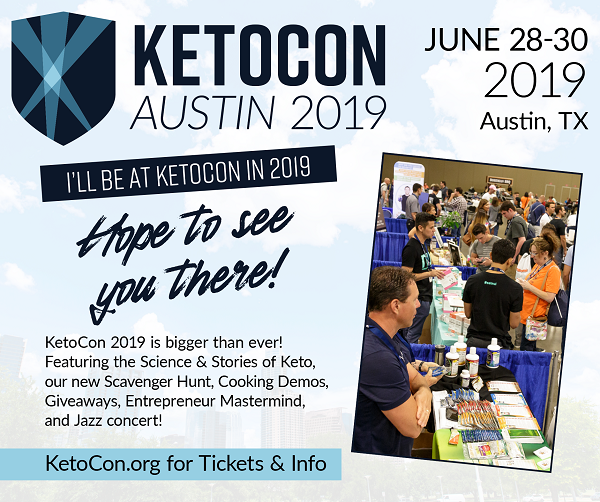 58 Responses to KetoCon 2019  Counting Down to the Biggest Keto Event of the Year! I would LOVE to go. We are a keto family and we love Austin. Thank you for the great giveaway! This would be an awesome experience. I need to reenergize my motivation. I am fairly new to Keto and would love to attend the Keto conferences. I want to learn from the experts and be around other Keto friendly folks ! I need more inspirations and trick to make Keto easier to follow! I’ve been dabbling on and off with Keto but I’m learning there I still so much to learn! I crave the knowledge and success I could garner at KetoCon. I’m on the edge of glory! Plus, I’m hella fun!!! I can dance and carry a tune, no bucket needed. I totally want to learn as much as I can about how to continue on this path for life. Also want to try all the samples and meet all the great folks in the field I watch online or read blogs from. Oh my goodness! Why do I want to go to Keto Con? Where to start. 1) I NEVER go anywhere without my entire family 2) I love Keto and would love to get inspiration from the speakers 3) I would love to try and find some new Keto friendly products. But more than anything, the inspiration and being around so many like minded people would be so amazing! Would love to be a part of this. My husband and I have been doing keto for almost a year now and we just love everything about it. Would love to learn more and get new ideas! I would love to attend. I’ve been Keto for a while now, and I’ve finally gotten my husband on board. As no I’ve got a friend interested. Would love to gain more knowledge at KetoCon. I would love to win a pass to Ketocon2019. Family are my life and getting us all into a healthy living lifestyle. I know I can benefit from going to this conference but as a canadian retiree, it’s hard to afford the 3 day pass. It would be awesome to win it. Would love to go! My whole family is finally buying into my keto cooking, and I would love some more tips and tricks. Hope to see you there! I would love an influx of keto motivation and mojo! Hope I win! I would love a chance to win; this would be such an inspiration to me! I would love to get all the information from this conference about Keto. I have never been to Austin, I know I would enjoy it. Just started this WOE January 2nd so I am still learning. This conference sounds like it would be a great experience to learn more as well as see products that would support the Keto lifestyle! I am motivated and have a lot to learn. I would welcome the chance to get a crash course in all things keto! OMG!!! Just to have the opportunity to be surrounded by so many that have embraced this lifestyle, I can’t even wrap my mind around all the learning, inspiration, motivation and friendships that will take place. 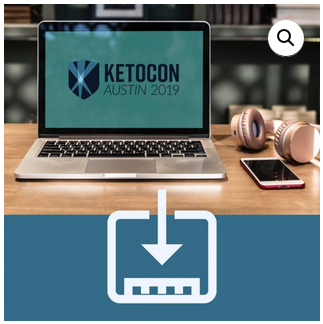 I’d most love to attend KetoCon 2019 so that I could have the opportunity to surround myself with like minded people who are committed to the Keto lifestyle. just being able to surround yourself in a keto environment, listening to great motivational speakers, getting reenergized about this WOE would be awesome, not to mention the free samples !! I would love love to attend the ketocon! I live only about 45 minutes away so its the perfect location! Even if I don’t win the tickets I’m waiting for you to post about doing an Austin keto meetup! I missed you last time you were here and I would love to meet you! Will you be planning a dinner meetup while you are in town? I’ve been keto for over 3 years, 60lbs down and no more IBS, GERD or high blood sugar! Now I’ve been helping others, and could use the latest data and products to make it easy and delicious for them as well as myself! I was just in a video about keto wine, and now I want to do more! Thanks for the opportunity! I would LOVE to learn more about the latest keto products, resetting, and understanding why I stall. I’d like to surround myself with knowledgeable ‘keto’ people. I also love to sample products before I invest in something that’s caught my eye. I would love to go to learn more about Keto products and meet people and hear their stories. I would like to meet others that do the Keto lifestyle. Keto Con sounds like an amazing way to learn SO much about the keto WOE in one place! Wow. What an opportunity it would be to attend KetoKon. I will be eating this way the rest of my life and want to learn as much as possible. I would love to attend. Although I’ve lost almost 100 pounds on keto, there is still so much I have yet to learn. I love the idea about being around so many that embrace this lifestyle! My husband lost 50 lbs. In the last few months following keto, and feels so much better! I would love to attend and see what’s new in the world of keto, and learn more! KetoCon would be an amazing way to learn how others stay focused and more about alternative products and recipes. I would love to go to this event! I need a good life changing event in my life!! I was recently diagnosed with several autoimmune diseases and eating Keto has really helped me to begin to feel better. I would be so grateful and appreciative to have the opportunity to go to Austin for KetoCon. I would love to go to the con. I need to get myself back on track. I look to you because I see you’ve gone through a lot of stuff and you have remained keto through all of it. I let my stuff overwhelm me and I fell off track. In one year I’ve gained back almost all of what took me over 2 years to lose. If I had the money I would buy the tickets myself, but I don’t. Thankfully I have a friend in Austin who would probably let of stay with her for the weekend. I would really appreciate tickets. I would love to get all the information from this conference about Keto and Keto products. I would love to go to KetoCon! I’m trying to make Keto my new way of eating – for the second time… I really want to make a healthy life change, but seriously need some help simplifying it and being successful establishing a new pantry and easy meal planning so I quit backsliding. The information I’ve gotten from your web page has been my saving grace so far with your shopping lists and recipes, but I just can’t seem to make it my new normal and stick to it. SOS…need help LOL 🙂 I really, really want to make this life change! Thanks Lynn! I would love to go to to KetoCon I need some motivation and expand my Keto resources. Spending time with like minded people would be a huge opportunity. I’d love to go because I’d take my 16 year old son with me. He’s just recently begun eating Keto with me as his weight was really getting up there. I’d love for him to be immersed in the Keto world for a few days and I think it would make a lasting impression on him. I’d love it too of course. Thank you for sharing this important information. I heard about this last year through keto connect. I love all your post and the blog. I’ve learned much from your information. I can’t imagine a better venue to get all the keto updates and to meet new keto friends! I’d love the opportunity to talk with the vendors about their products – and the samples, of course!!! WOW…winning KetoCon tickets would be a dream come true! I’ve been Keto/low carb since 11/11/13 (at or under goal since 5/29/15) and rubbing elbows with the experts would be very beneficial to my way of life. I moved to Austin two months ago so my commute would be extremely short and easy. Thank you for giving us such a great opportunity, Lynn. I would very much appreciate the opportunity to attend this conference. I’ve been thinking and reading about this topic lately and think it be an awesome way to get great information! I would love to attend KetoCon, to jumpstart my low carb lifestyle. I never really get started because I do not feel confident in what to do. I also could use a nice pick me up as I was fired from my position at a local bank on January 2nd. I have been depressed and emotionally upset since then. Hi, thanks for the opportunity to win a 3 day pass to KetoCon!! I’m new to this WOE per my Dr’s. Instructions and would love to attend to learn so much more as well as to sample many products before buying. Please enter me in your giveaway. Thank you. Where do I start? I am 59 years old, was always heavy growing up and stayed heavy most of my life. Until I found the Keto life style. I am a work in progress 70lbs down, and would LOVE to do the the conference to see what else I can learn to keep this weight coming off! Good luck to all the contestants! I would love to go try the samples and learn more about getting in ketosis, staying there and getting to a higher level of ketosis!!! Hi Lynn, I would love to win a ticket to the keto con. I have been keto for almost two ears and followed you for over a year too. Also bought and tried many of your suggestions. Love the white chocolate dippers. 😉 And best of all I would love to meet all the people I interact with – you, Dr. Barry, Robert Savage and many others and try new keto items. Pick me !!! It would be great to learn more about it in general AND find more foods I’m not aware of yet! I would love to win…..I need to shake things up and my best friend just moved to Texas! I could visit both!!!!!! And to win from you….I admire you so!! Thanks for the opportunity Lynn!!! Have a great week; hope you’re feeling better!